PARIS - French healthcare group Sanofi is in exclusive talks to sell its Zentiva European generics drugs arm to private equity firm Advent International for 1.9 billion euros ($2.4 billion), the companies said on Tuesday. Sanofi said the sale was expected to be completed before the end of the year, and Advent's offer was binding and fully financed. The 1.9 billion euros price is an enterprise value, including equity and debt. The planned Zentiva sale follows a move by UK group Shire this week to sell its oncology business to unlisted French drugmaker Servier for $2.4 billion. Sanofi has been reshaping its business in recent months, spending more than $16 billion to buy biotech company Ablynx and U.S. haemophilia specialist Bioverativ, but also selling off some assets. This week, it sold some brands to Charterhouse Capital Partners' Cooper-Vemedia drugs manufacturing arm for 158 million euros. "Following a comprehensive review of strategic options for our generics unit in Europe, we have determined that transferring this business to Advent is the best option to ensure its long-term success," Sanofi Chief Executive Olivier Brandicourt said in a statement. 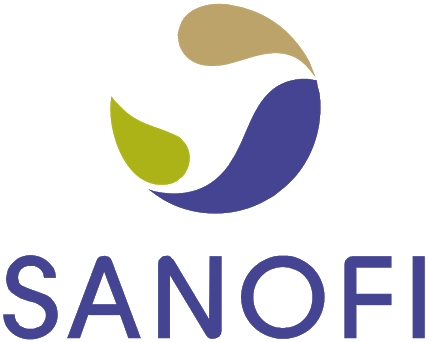 Sanofi shares were down 0.3 percent in early session trading. "The sale price is decent, but nothing that extraordinary. Sanofi will probably re-invest the proceeds in looking to make pharma or biotech acquisitions. They are looking to strengthen their pipeline, which is a bit weak at the moment," said Jerome Schupp, fund manager at Geneva-based Prime Partners, which does not hold Sanofi shares at present. The planned sale of Zentiva began in October after Sanofi spent more than a year carving out the division to create a stand-alone company that could be sold to one of its competitors or to an investment fund. In February, sources told Reuters that private equity firms Carlyle, BC Partners and a consortium of Blackstone and Nordic Capital had been shortlisted to buy Zentiva along with two industry players, Brazilian drugs firm EMS and India's Torrent Pharma. Zentiva operates in 50 markets and has a strong presence in Eastern Europe, particularly in the Czech Republic, Slovakia and Romania. Its generic drugs portfolio includes cardiovascular and gastrointestinal drugs as well as painkillers and anti-inflammatory drugs based on ibuprofen and leflunomide molecules.